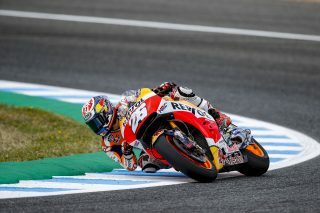 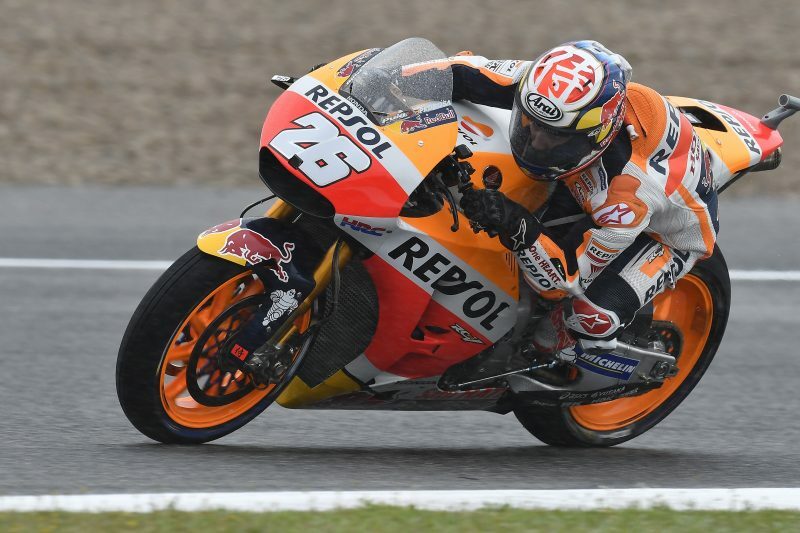 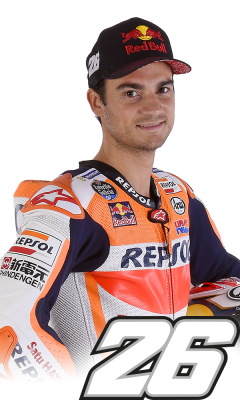 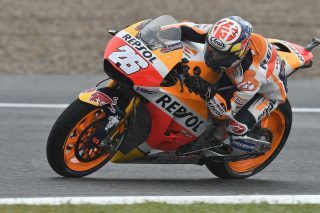 The Red Bull Spanish GP got off to a brilliant start for Dani Pedrosa, who led both the wet FP1 and the dry FP2 sessions. 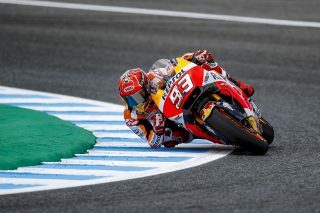 At the end of the day, the Repsol Honda rider was quickest by more than half a second over Jack Miller and by more than six tenths of a second over Cal Crutchlow, who completed an all-Honda provisional front row at the Andalusian track. 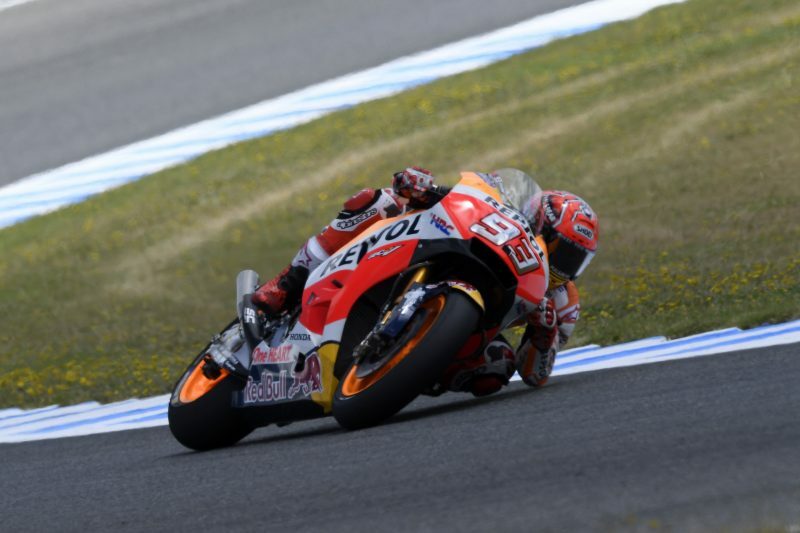 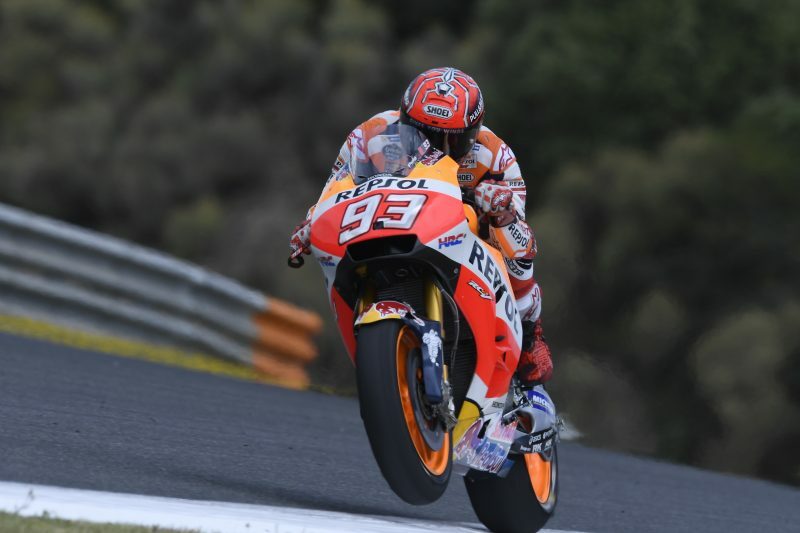 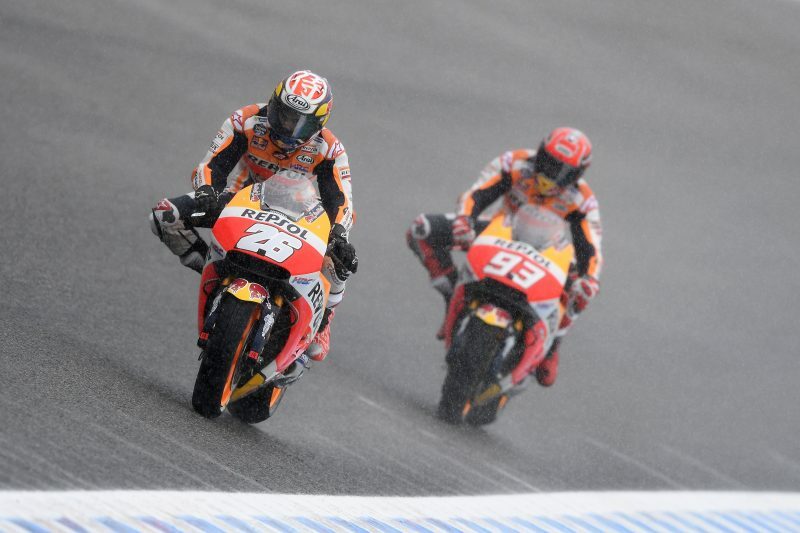 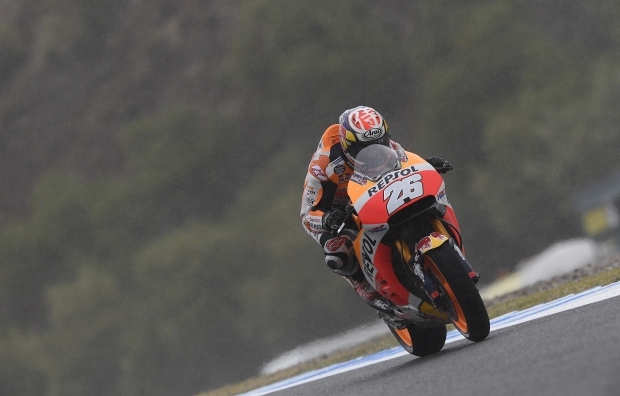 Dani and Jack were the only two riders today who were able to dip under the 1’40” barrier. 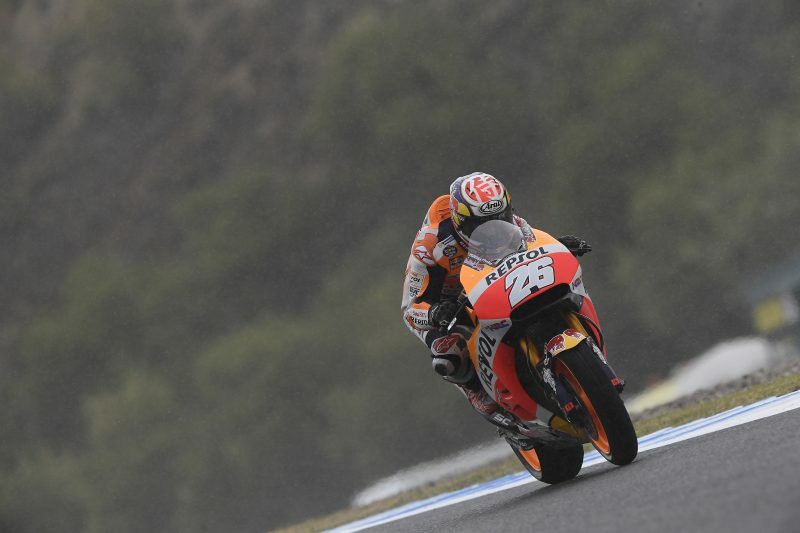 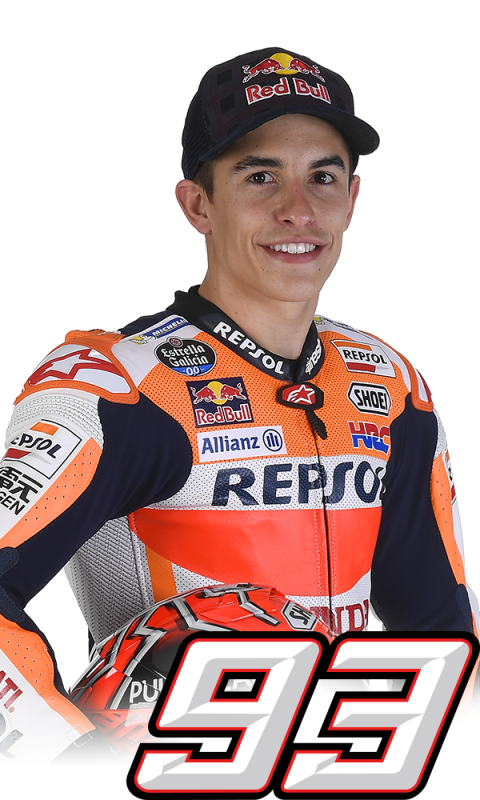 Reigning World Champion Marc Marquez set the fifth-fastest time in the morning and was 14th in the afternoon, choosing to end the session on the same set of medium tyres that he had used for the entire session, in order to take advantage of every minute of dry time available by continuing to work on his race pace. The weather forecasts for the rest of the weekend are good.